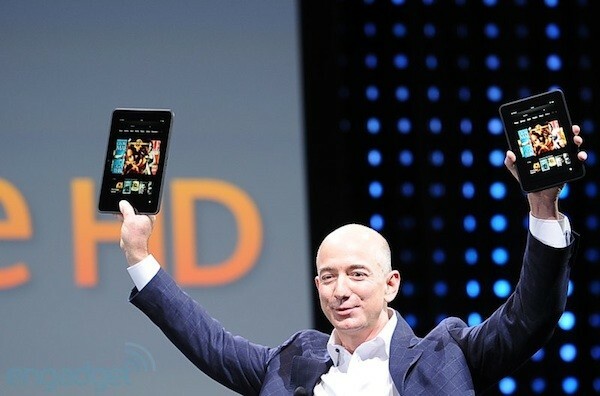 Kindle fire HD is the latest tablet in Amazon fire lineup and it is amazing. It also has dual Wifi antennas and supports 5GHZ shandard. It has a feature called MEMO which echos signal when it hears it. The processor on this beast in Dual core OMAP 4470. Amazon did not reveal the clock speed, though it can be upto 1.8GHz. It also had an HD front facing camera for skype video calling. Whispersync for games is a new service and it syncs levels of games so you never have to start it over again. It also has kindle freetime which lets you make profiles for kids and limit their uses by time for games, reading and movies. A kids mode was so necessary in today's time. It features the PowerVR Sgx4 graphic processor. The chipset increases 150% of performance over previous Cortex A9 processor. There is also an HDMI out and bluetooth on board. The 7 inch model also has an HD display.